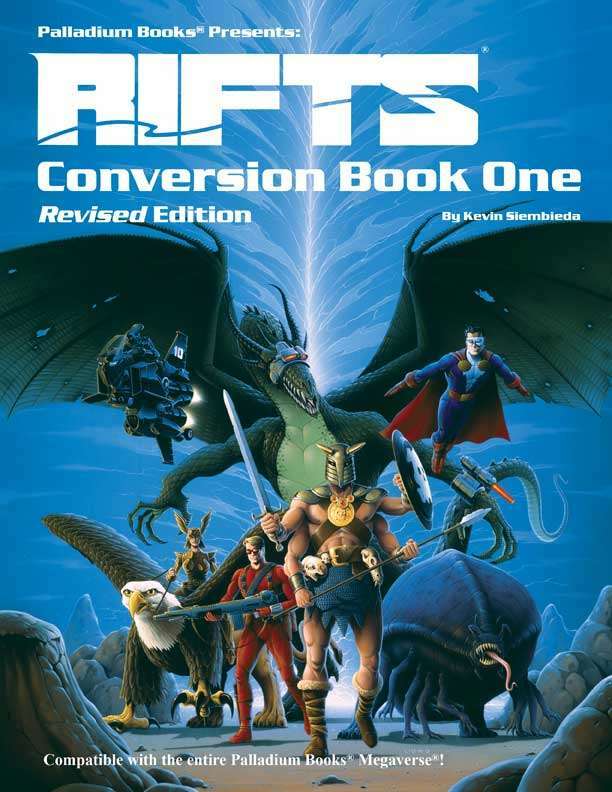 A revised, expanded and updated edition of Palladium’s number one supplement for Rifts®. Page after page of rules and stats for bringing other Palladium characters, magic and powers into the multi-dimensional realm of Rifts Earth. Conversion rules for Palladium games in general. Conversion rules for Palladium Fantasy® and magic. Conversion rules for Heroes Unlimited™, Ninjas & Superspies™ and super abilities. Conversion stats for over 100 monsters. Conversion stats for over 40 optional player races including Giants, Wolfen, and others. Culture shock and adapting to a new world. Written, expanded and updated by Kevin Siembieda. This title was added to our catalog on October 26, 2017.